Bachelor, Master, Doctor of Ministry and Ph.D. Objective: To provide the student a broad range of studies from America's most brilliant church growth leaders, pastors and evangelists. This degree program acquaints the student with solid Biblical principles of doing evangelism, missions and leading churches to grow as taught and demonstrated by America's finest leadership. Students will study the books of Billy Graham, Tom Rainier, Rick Warren, Bob Russell, Bill Hybels, Charles Stanley and many others. MEC 240, MEC 260, MEC 280, MEC 300, MEC 320. Requirements: If you qualify for the 80 hours of life credit - eight classes (minimum of 4 core courses) selected from our suggested curriculum or a total of 40 hours. No Travel Seminars: You are allowed up to five No Travel Seminars. Select eight of the textbooks on this site. One seminar replaces one textbook. Seminars are optional and never required. Alternates are not permitted. Requirements: Forty hours or eight (8) classes (minimum of 5 core courses) selected from the listed curriculum. No Travel Seminars: You are allowed up to four No Travel Seminars. Follow the guidelines for doing the Bachelor's of MEC as listed directly above. If you have completed a Bachelor's in this same program you will need to choose eight new textbooks from this site. You may also select up to three electives from any page on this web site. The Master of Missions, Evangelism and Church Growth requires five verbatims. Verbatims are discussions or summaries in your own words of a mission, evangelism or church growth experience. Verbatims include but are not limited to the following: Personal witnessing/evangelism encounters. These are encounters where you have in some way shared the gospel with a person who is not a Christian. 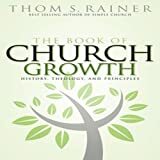 - Any effort to build up your church, small group, Sunday school class. - Any mission effort. Bible school, handing out gospel tracts. - Verbatims should only be about one page in length and submitted via email or mail. A verbatim is a summary of what was said during the experience you are sharing. are optional and not required. Alternates are not permitted. Requirements: Six classes selected from the curriculum section, plus a ministry project agreed upon by the seminary committee. Six textbooks following the same guidelines as listed under the Bachelor's program of this page for doing assignments. Up to three textbook electives may be selected from any page on this web site. Alternates are not permitted. Student selects a ministry theme pertaining to evangelism, ministry or church growth. The theme is submitted in writing to the seminary committee. You may email this to us. Look for the doctoral submission theme tab on the web site. Once the theme is approved the student will receive supervision from the seminary committee for the completion of the Doctor of Ministry project. Ministry projects are practical in nature and should be written in such a way that the project might be helpful to any other minister or church group. D.Min. projects take about two to three months to complete the project. A 35 - 50 page paper typically explains the nature of the project, the goal of the project, what actually transpired during the project and the outcome of the ministry project. Requirements: Six classes selected from the curriculum. Three alternates may be selected from any page on this web site. March 2, 2011. The candidate should also submit a Dissertation theme to be agreed upon by the seminary committee. Please use the tab on web site to submit your doctoral theme idea. The student selects a Dissertation theme pertaining to church growth, evangelism or missions. The Dissertation theme is submitted in writing to the seminary committee or may be emailed to us on the seminary web site tab. Once the theme is approved the student will receive supervision from the seminary committee for the completion of the Ph.D. degree. Dissertations are academic yet we encourage our students to write on a practical level as if the dissertation were being presented to an average church group. We want our dissertations to be helpful to other ministers and Christians who might have the opportunity to read them. Dissertations typically are about 60 to 125 pages. We have received numerous dissertations from 250 to 300 pages. We are not legalistic about page length. This is not a marathon to see how many words you can put on paper. Content, thought, your ideas, personal research and what you present are what we consider important. Most importantly we are concerned that your dissertation glorify Jesus. to complete this degree. One seminar replaces one textbook. Alternates are not permitted.